Kevin McNamara offers an integrated design and construction service for Tennis Courts,Swimming Pools and Landscapes. Proud members of SPASA, Landscaping Victoria & the Sports Contractors Association our company prides itself on our personalised service and attention to detail. Now you can realise your entire home project by making one phone call and dealing with one company. The art of building Tennis Courts,Landscapes and Swimming Pools represents a life's work for Kevin McNamara. Kevin has traded continuously since 1968,and been at the forefront of initiatives to raise Industry Standards. Since founding the Sports Contractors Association of Australasia, in 1992 he has served on Standards Association of Australia panels, that redrafted the standards for Sports Lighting,and Synthetic Sports Surfacing. 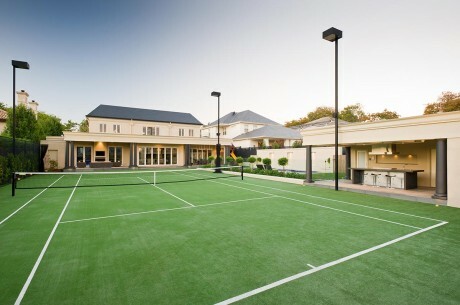 Tennis Courts, Swimming Pools and the associated Landscapes, built by Kevin McNamara, have received 61 Industry Awards.